With the release of 7th edition Warhammer 40k the battle field role of the Henchmen Psyker has improved. unfortunately the models haven't. 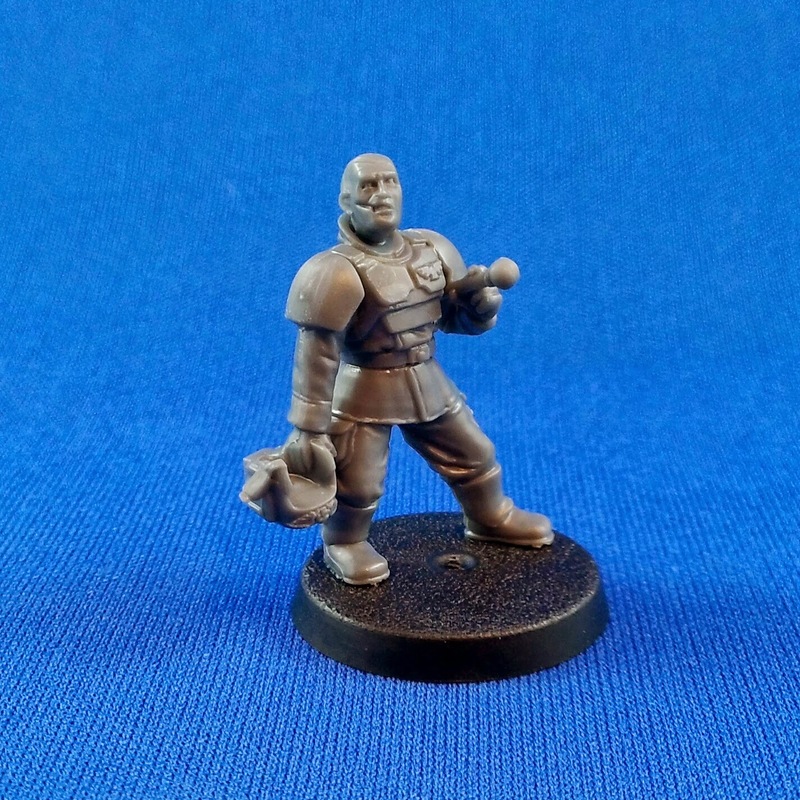 lets see what we can do to add some cheap Henchmen Psykers to our army. 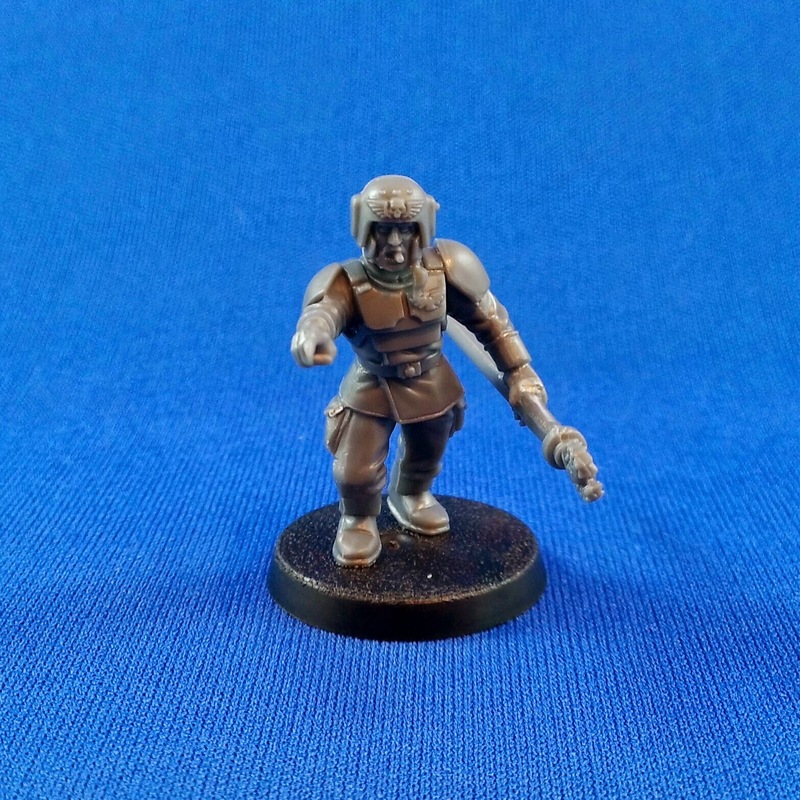 I started with a imperial guardsmen box set my goal with the Psykers is to make some figures that would be dressed as regular units but still look the role. I figure if you wanted your Psyker to stay alive he wouldn't really stand out. This said, I still needed to make them individuals. The command set has most of the parts you will need. The grounding staves i made by cutting off the standards at the hand and added the toppers that come with the kit. 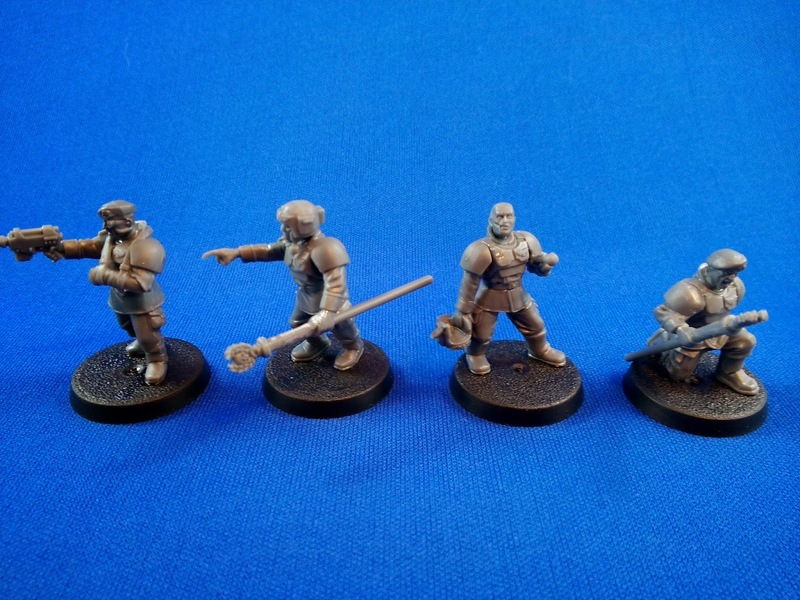 The rest of the bits you can get from left over heads from the Militarium Tempestus box(damn that set is useful). Psyker: Brotherhood of Psykers (Mastery Level 1). 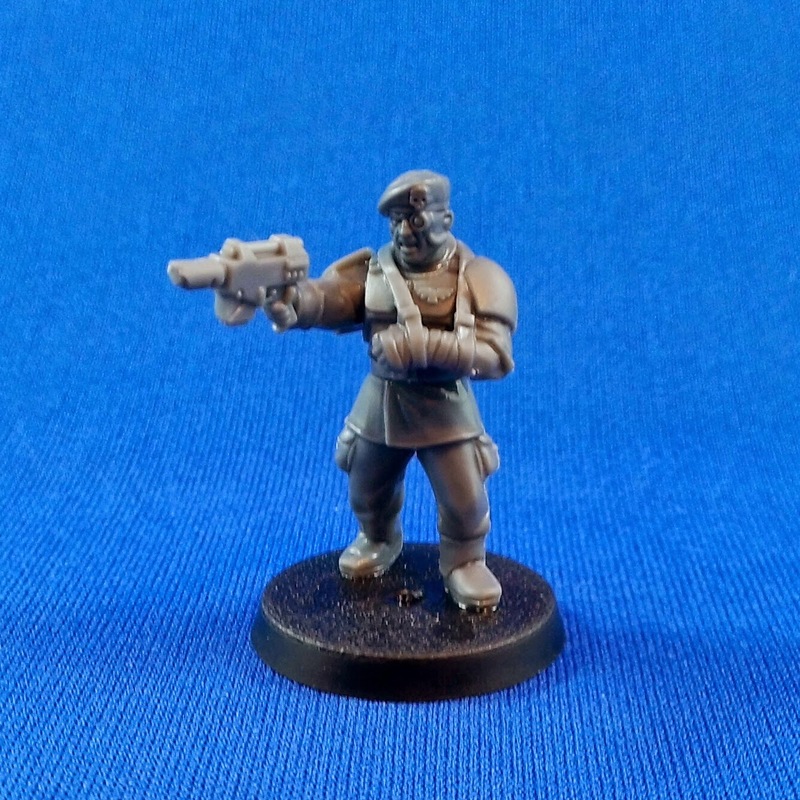 Other than adding the head with the berrets all I did was assemble different parts from the Imperial Guard box set. This is one of the easiest conversions I've done. 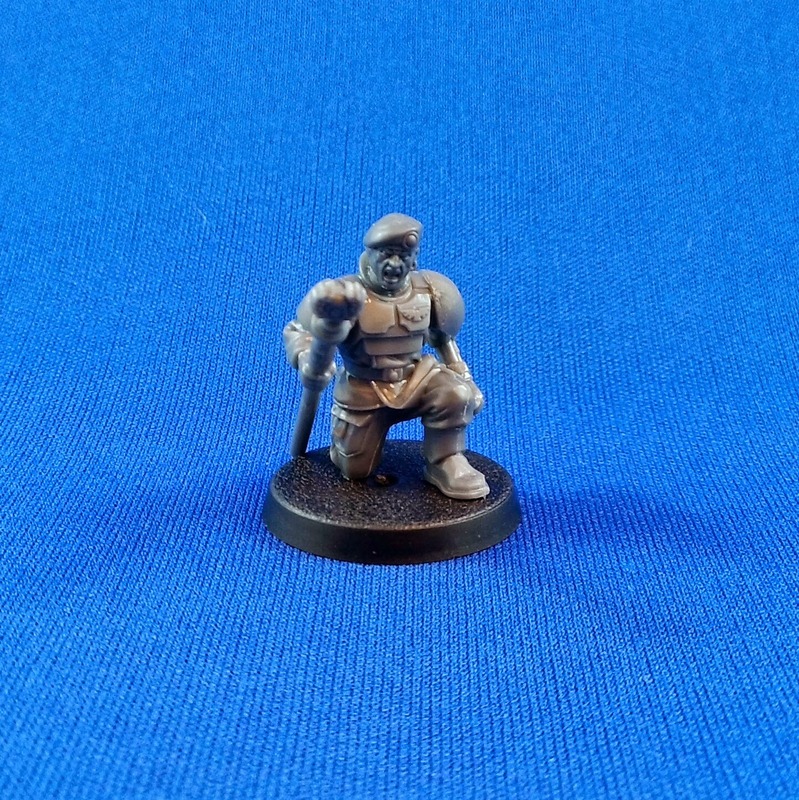 If you have access to lots of guardsmen you can really have some fun. I don't really use daemon host, mystics or Arco flagellants, so I cant say much about these, but if you have a good cheap idea send it my way. I'm always looking for creative ideas. Thats it for now, have fun and see you in the 4x8 arena. Hey where's the next squad? ?